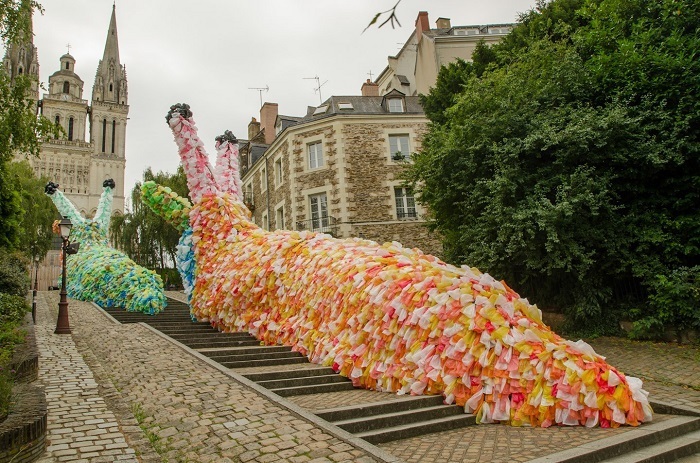 Best known for making a mammoth 26 meter tall floating duck, Florentijn Hofman creates striking pieces that force the average passerby to take notice. 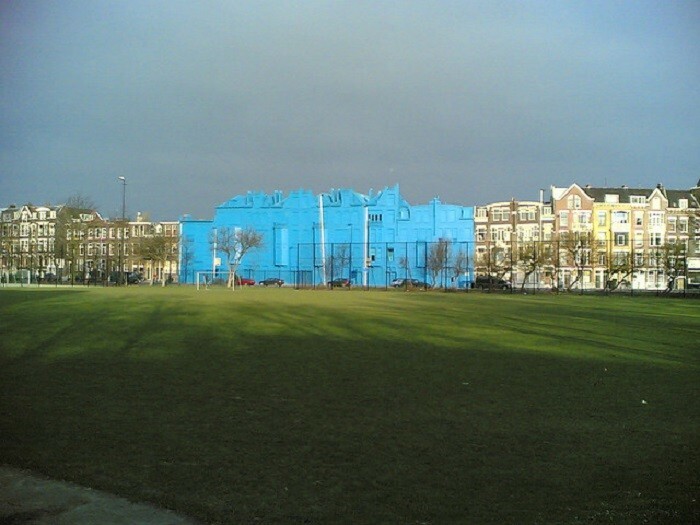 In the past, public art was confined to commemorative pieces, murals, or architectural structures. 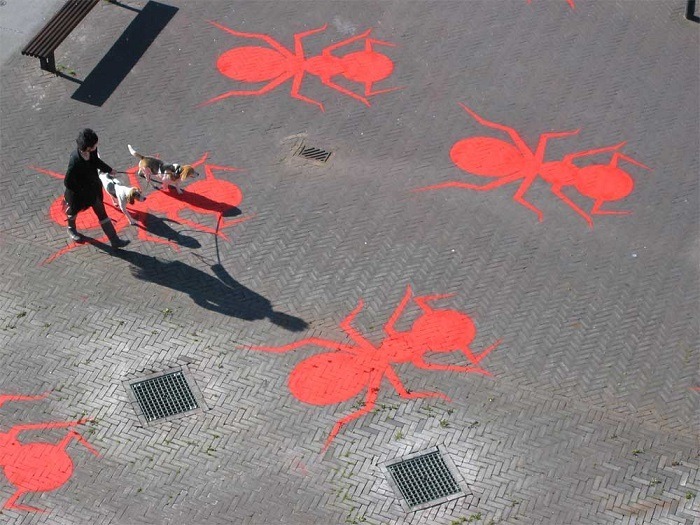 These days, the umbrella of public art encompasses a variety of art forms including land art, graffiti, political art, architecture, and more. 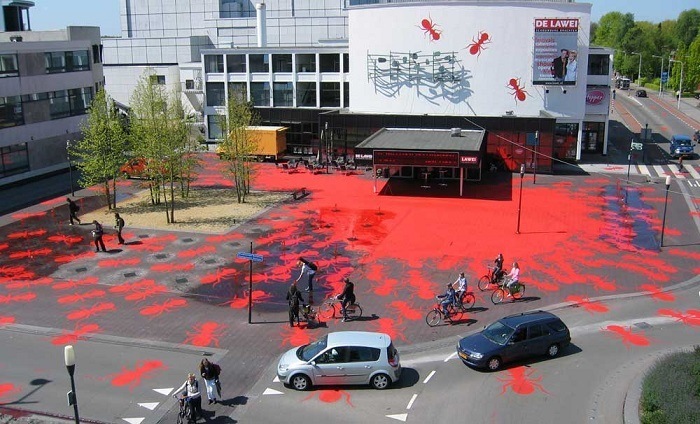 One contemporary artist, Florentijn Hofman, creates striking, bold, and joyful pieces that force the average passerby to stop and take notice. 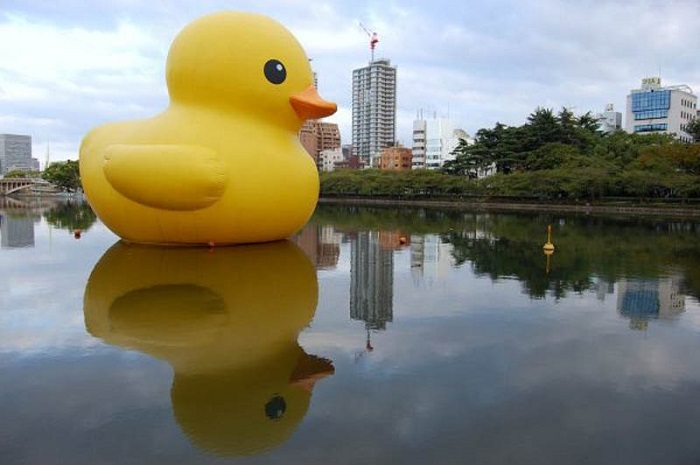 The floating duck has been to 12 cities so far, and according to the artist, will bring happiness to people worldwide by reminding them of their childhood. 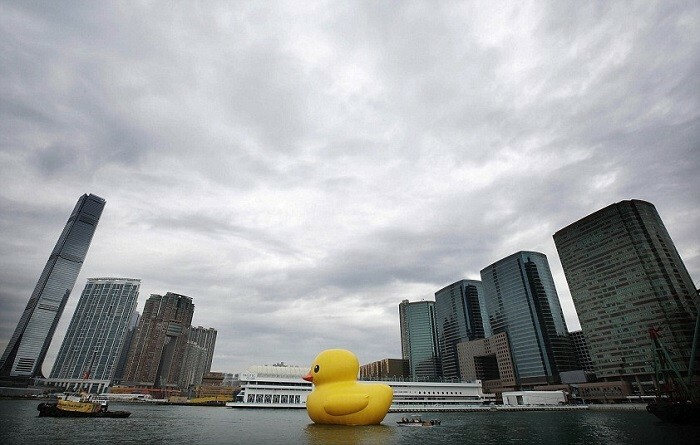 Currently, the gigantic rubber duck is in Hong Kong, where it will remain until June 2013. 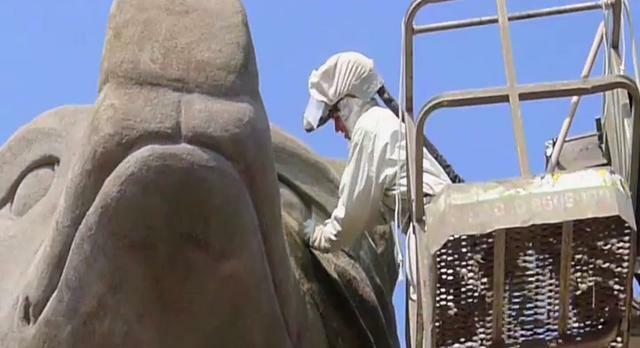 “Spreading Joy Around the World” is not Hofman’s only piece that demands attention. 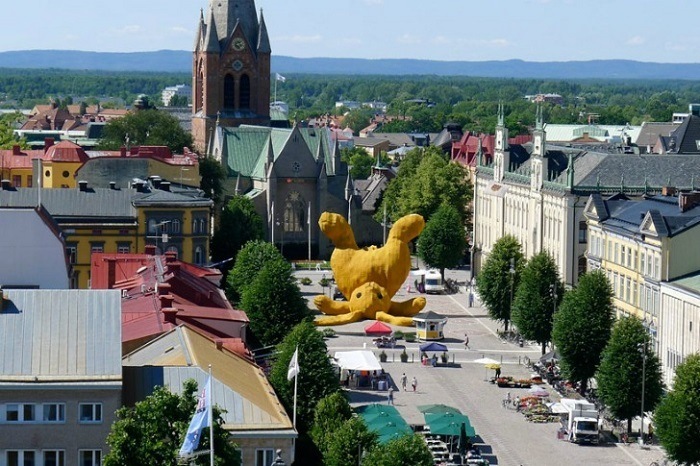 In 2011, he created a huge yellow rabbit lying on its back in the middle of Örebro, Sweden. 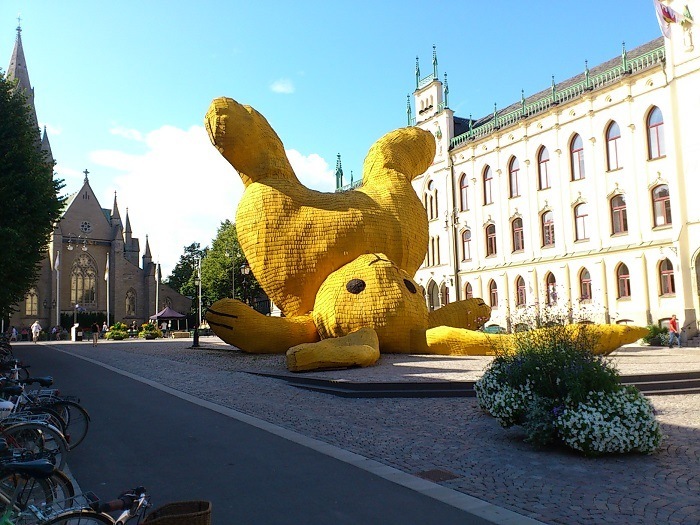 The bunny, called “Big Yellow Rabbit,” is made from thousands of Swedish shingles and other Swedish materials. This piece is yet another incredible example of how Hofman’s artwork so easily colors previously bland landscapes. 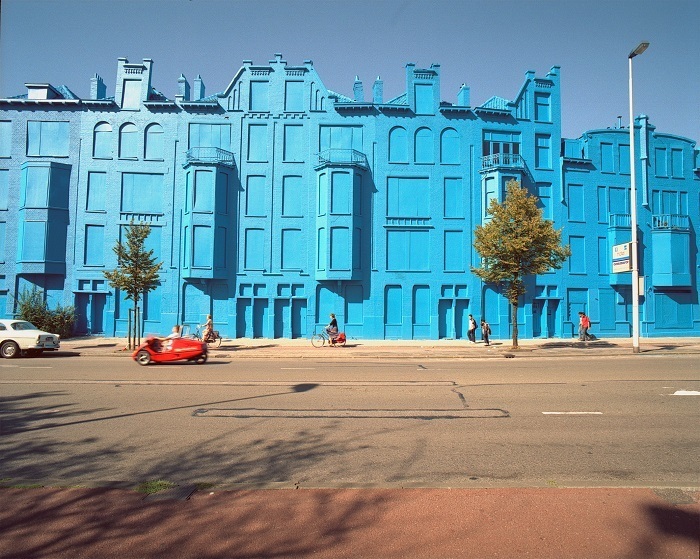 While Hofman’s style of artwork is decidedly unique, there are other contemporary artists whose work seems to draw from some of the same influences. 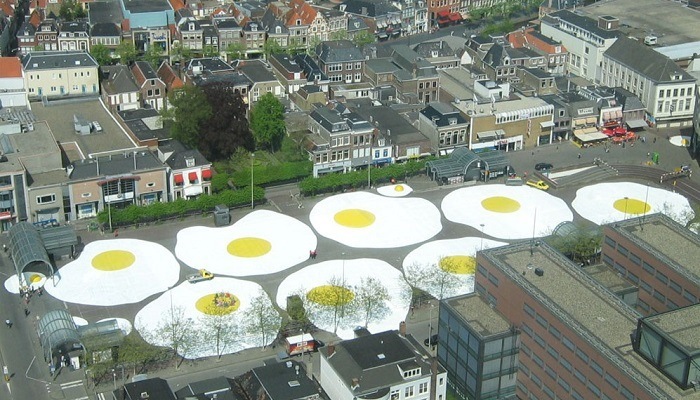 Dutch artist Henk Hofstra paints bright, eye-catching art that stands out in the same way as Hofman’s.